Today I had a “real” job interview. “Real” meaning that it was for a Reading/Math assistant position at the elementary school that my mother works at, and at 7:30 AM. It went pretty well, and they seemed very interested in my Graphic Novel curriculum work and colloquium. At the very least if I don’t get the job it could potentially open up some doors within the school district. HOWEVER, IT’S WEDNESDAY, AND YOU KNOW WHAT THAT MEANS!!! We’re nearing the end of Grant Morrison’s tale of the time-traveling Bruce Wayne’s trek through the ages to make it back to present day. This issue was fairly straightforward, even if it doesn’t focus at all on any of the previous “time adventurers” side plot. 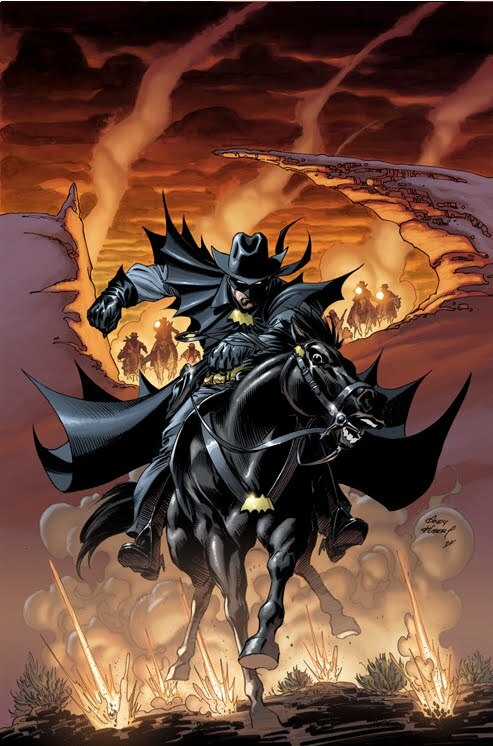 Instead, we get a pretty decent look at Bruce Wayne in the times of the (wiki-wild, wiki-wild) wild west. As a bonus, Bats also goes up against JONAH HEX, which was pretty entertaining. I particularly liked the stagecoach battle, and Mr. Hex’s form of payment, but once again, I feel like Grant Morrison is purposefully not explaining a whole lot, and it does get a little confusing trying to tell some of the different players apart from one another. I am intrigued by the “Wayne Curse” that once again is mentioned in this issue however. Not bad for those still following the series, but not the best entry so far. Hollleeeeee #$%$! 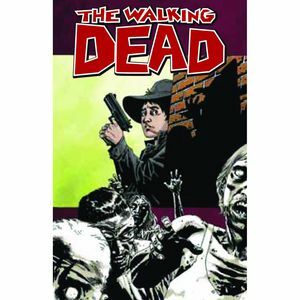 The Walking Dead is a title that I typically “trade wait” for, but after reading this latest volume I’m catching up and going monthly. It’s just that good. This is the best comic on the stands right now. HANDS. DOWN. I won’t dip into spoilers too much, but once again, Rick and Co. find themselves meeting a stranger and being invited to live in a new, walled in community. Fans of the series will understand the hesitations that the group has for this place. However, writer/creator Robert Kirkman is now starting to plant the seed of doubt in our minds that this place may actually be as good as it seems, and that Rick may have now finally given in to the constant paranoia of having to lead his group for the past fourteen(or so) months. This volume of course ends with a jaw-dropping cliffhanger, and I can’t handle the wait for the trades anymore. If you’ve heard about AMC’s upcoming series based on this amazing comic book you need to get on the bandwagon early before you’re left out in the cold. This is an amazing title, and by far the best use of the comic medium since Watchmen. Yeah, I said it. This is the cinematic trailer for DC Universe Online, which is hitting PS3 and PC this November. My new reason for wanting a Playstation 3. God Black Adam rules, and I hope they release action figures based off of this.